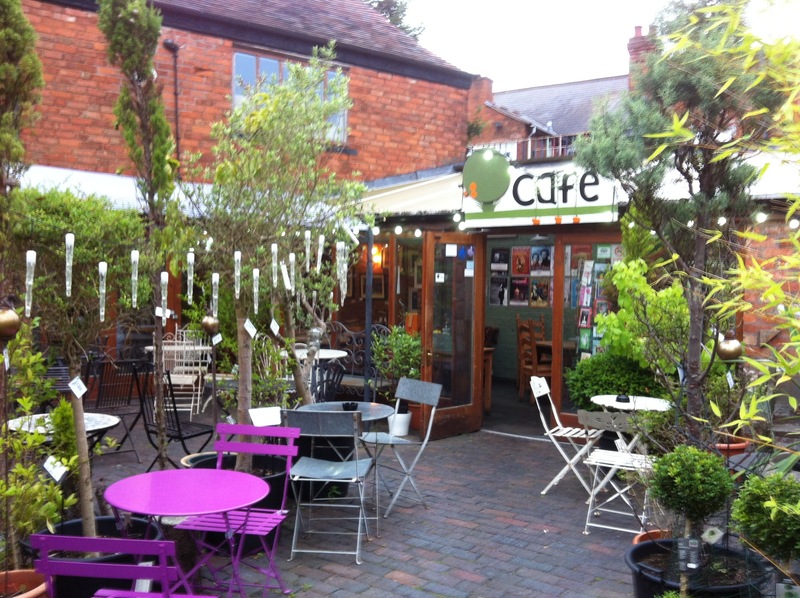 There are a number of fantastic foodie places in Kings Heath in the South Birmingham area, from cafe’s, delis, coffee shops, restaurants and pubs. 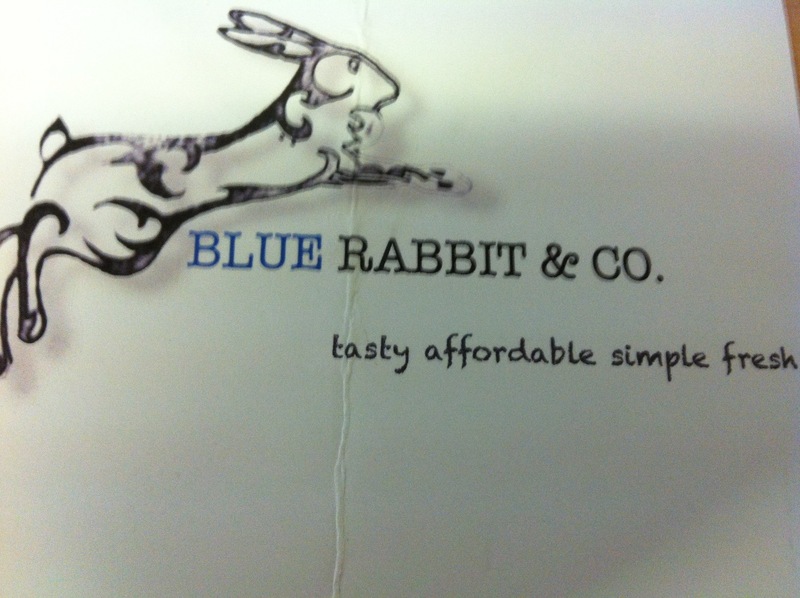 Blue Rabbit & Co is one of the most recent to pop up, in fact it is a pop up for the remainder of the year at least. 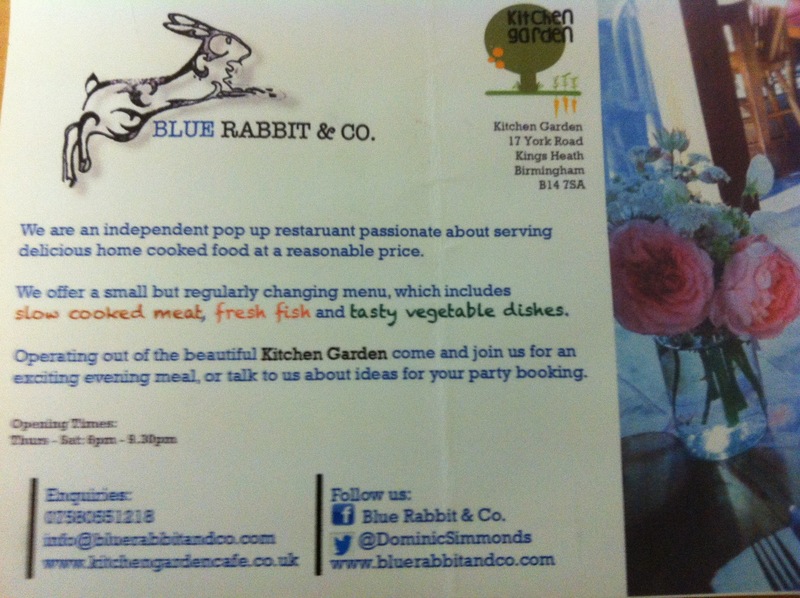 Blue Rabbit based in the Kitchen Garden Cafe, a lovely oasis of calm on York Road near the Hare and Hounds pub. 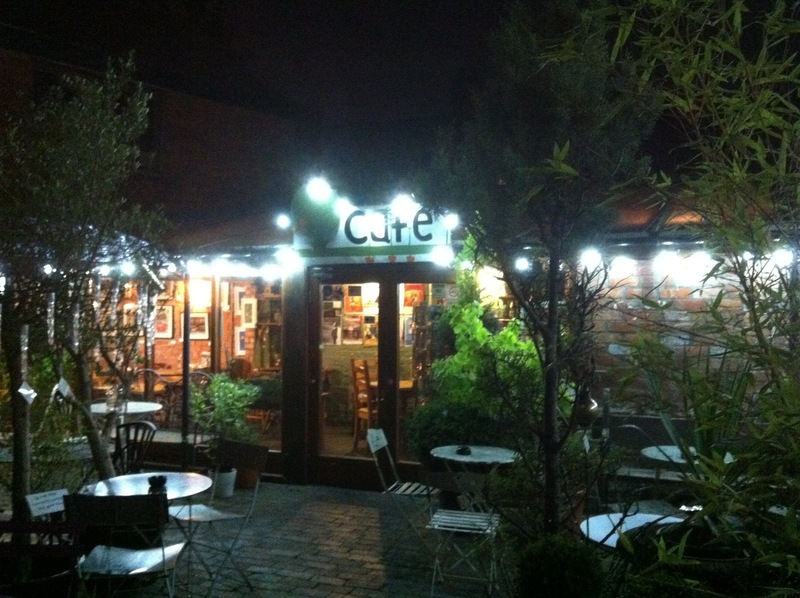 In the daytime it has a garden centre, food deli, and cafe in a garden type terrace with outdoor tables. The Kitchen Garden Cafe always have good vegetarian options. At night time three evenings (thursday, Friday and Saturday 6-9.30pm) a week it becomes the Blue Rabbit & Co pop up restaurant, a bistro, an independent serving home cooked food at reasonable prices. 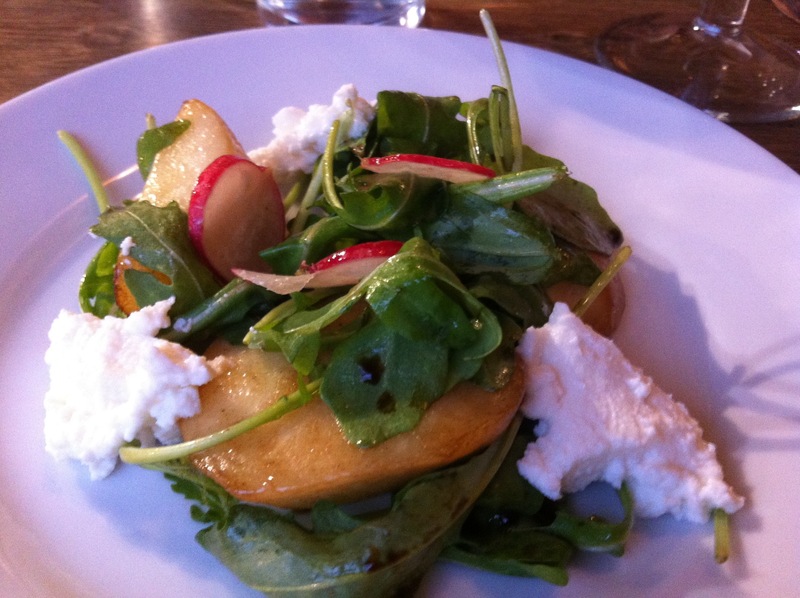 Blue Rabbit offer a small, but regularly changing menu which includes a vegetarian option for a starter and main course. 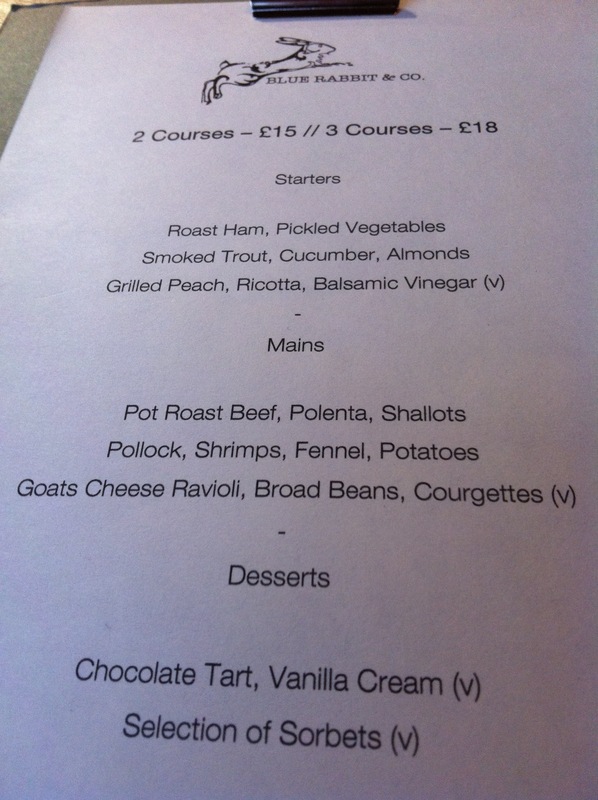 For the price 2 courses are £15 and 3 courses are £18 it is exceedingly good value for fresh and seasonal ingredients well served, flavoured and presented. Chef Dominic Simmonds has worked at a number of Birmingham’s top restaurants and is now cooking his own food. Ruth and I visited on a Saturday night. 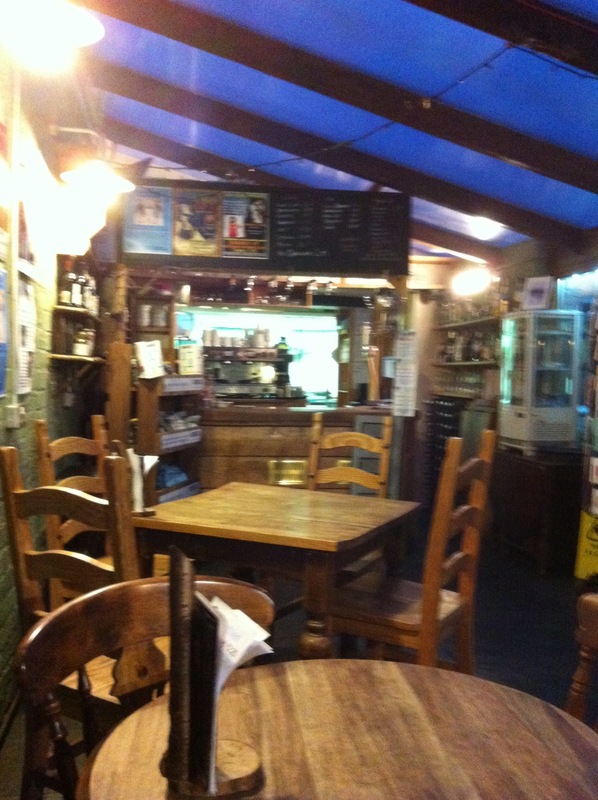 The Kitchen Garden Cafe is a lovely venue. Wandering up a narrow path off busy York Road through plants, flowers and into the courtyard, it had a certain mystique about it. On entering we were greeted warmly, but found an almost empty restaurant apart from one other couple. We were advised that as Brum Yum Yum street food market KingshEATh was on earlier in the day they had decided to not go out in the evening as well. Shame. 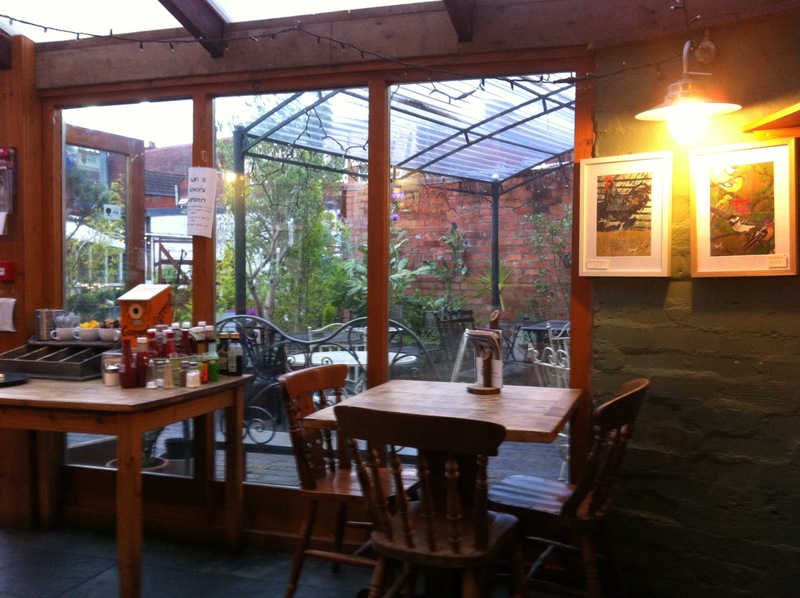 The Kitchen Garden Cafe looked lovely, flickering candles and with its wooden tables, wide windows, and quirky air the pop up felt right there. Looking out on the courtyard was lovely and felt romantic. Not deterred as we had come for the food we ordered two glasses of wine and ordered our food. 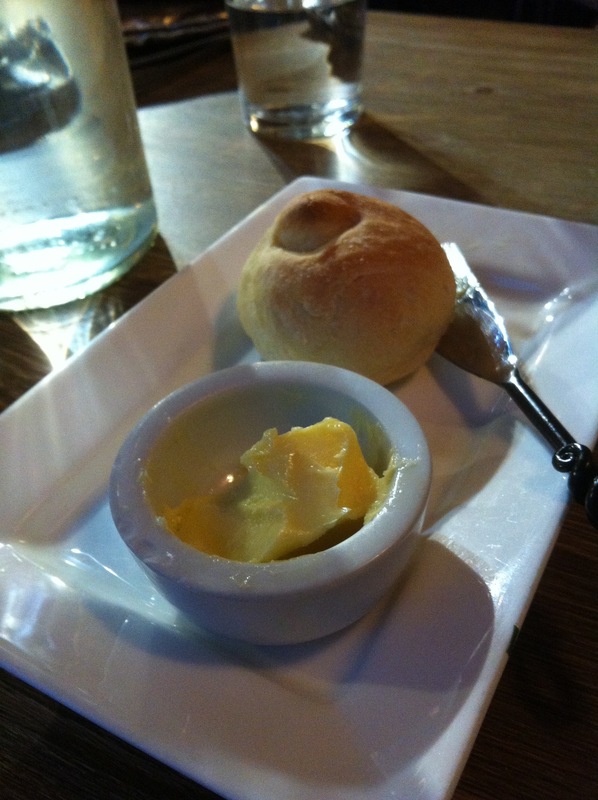 We were brought some delicious homemade bread to eat before our starter. 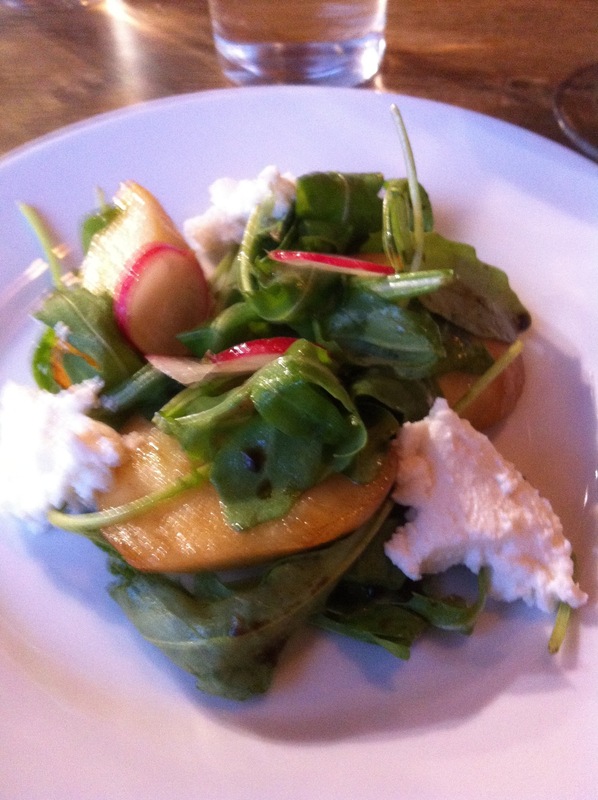 For a starter we both ordered the Grilled peach, ricotta, balsamic vinegar. We felt that the flavours were fresh, the peaches and the ricotta working well together, to make a lovely summery salad, that felt light and full of flavour. It was a lovely vegetarian starter. 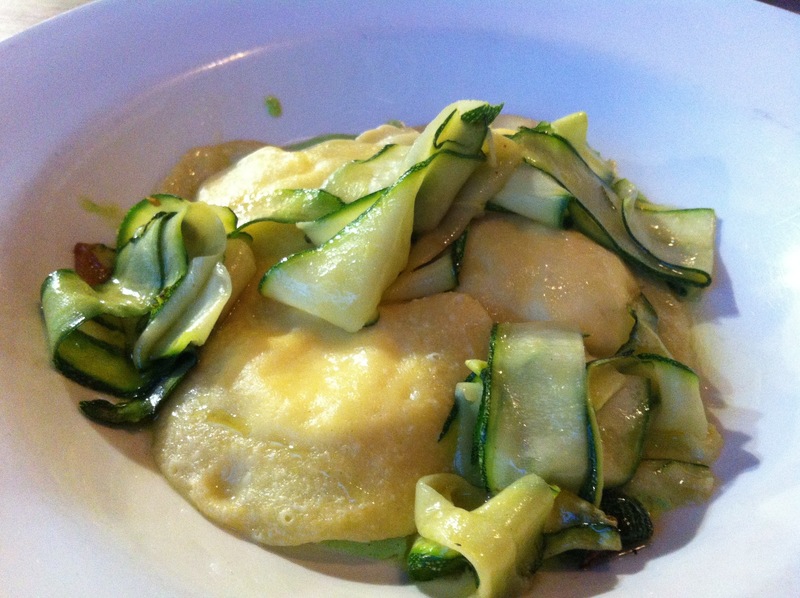 Goats cheese ravioli, broad beans, courgettes. The dish was lovely. The quality of the ingredients shone through, the goats cheese ravioli, hand made, with a delicate flavour that with the summery broad beans and courgettes made a stunning fine dining like dish. A real delight. 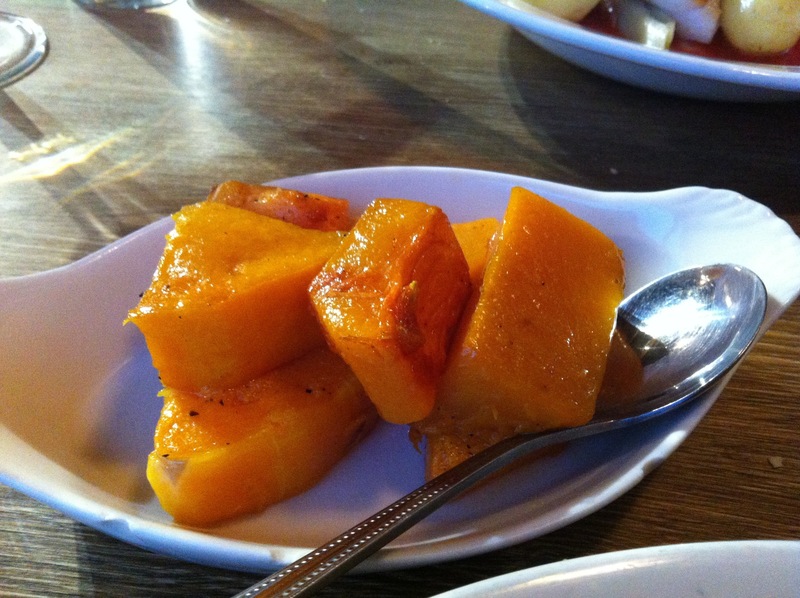 We also ordered a side dish of roasted Butternut Squash which was full of flavour and bite and went well with the pasta or eaten on its own. 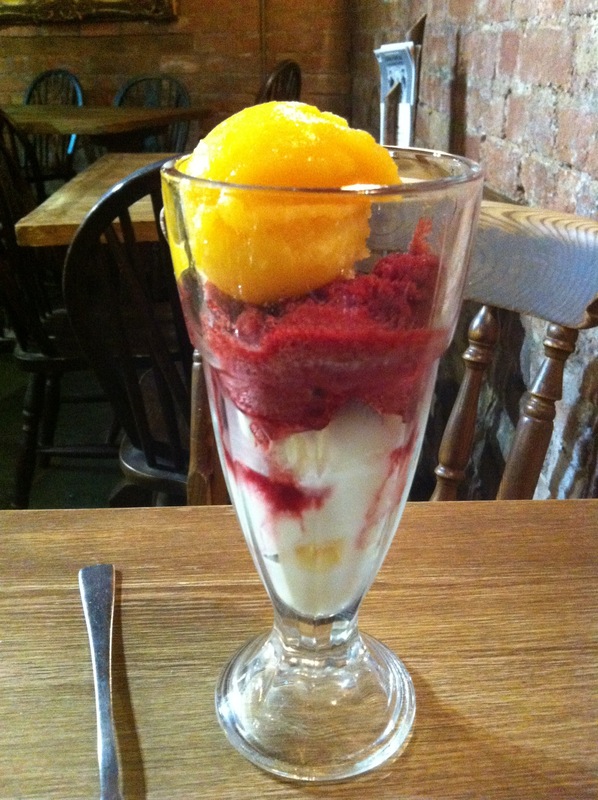 For desert Ruth ordered the selection of sorbets, she felt that they were delicious, with the cherry flavoured one to be recommended especially. She felt that the flavours were original and summery. 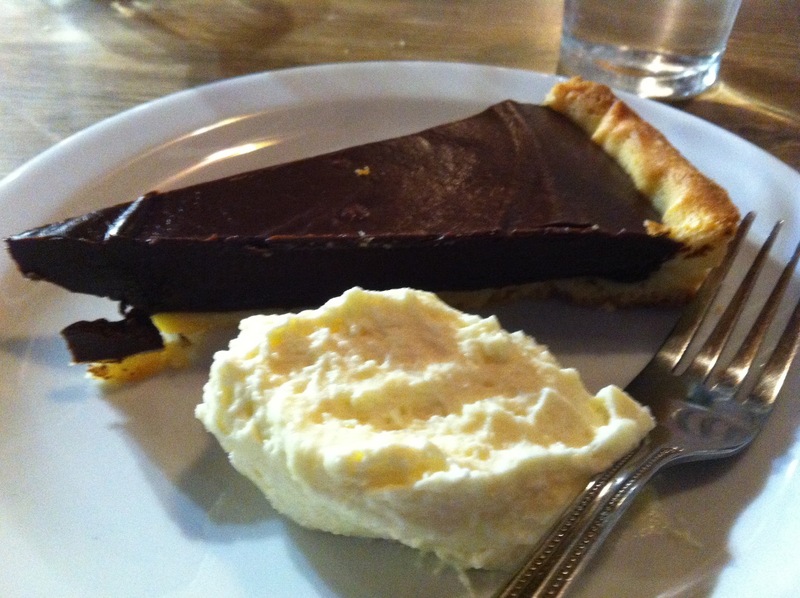 I ordered the divine sounding chocolate tort with vanilla cream. 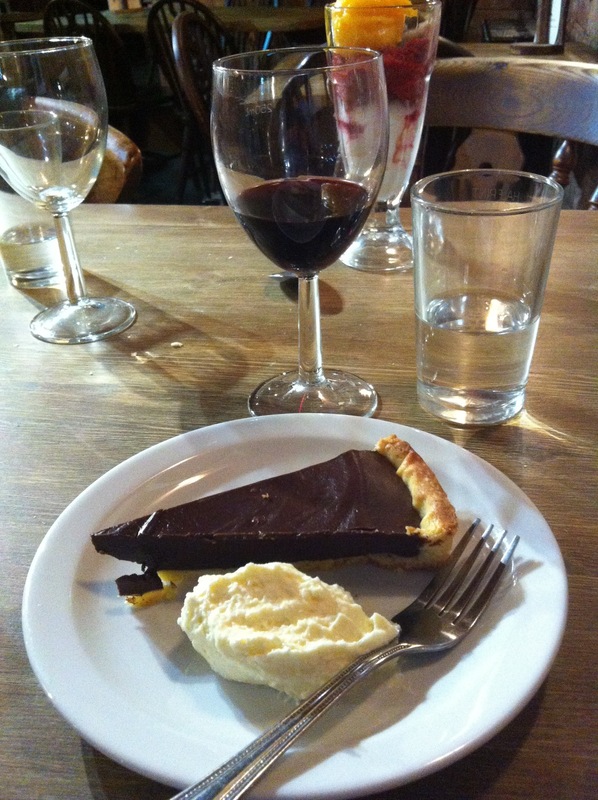 It was full of deep chocolate flavour, the pastry was well made, the right thickness and as a desert it was fabulous, a lovely tort. 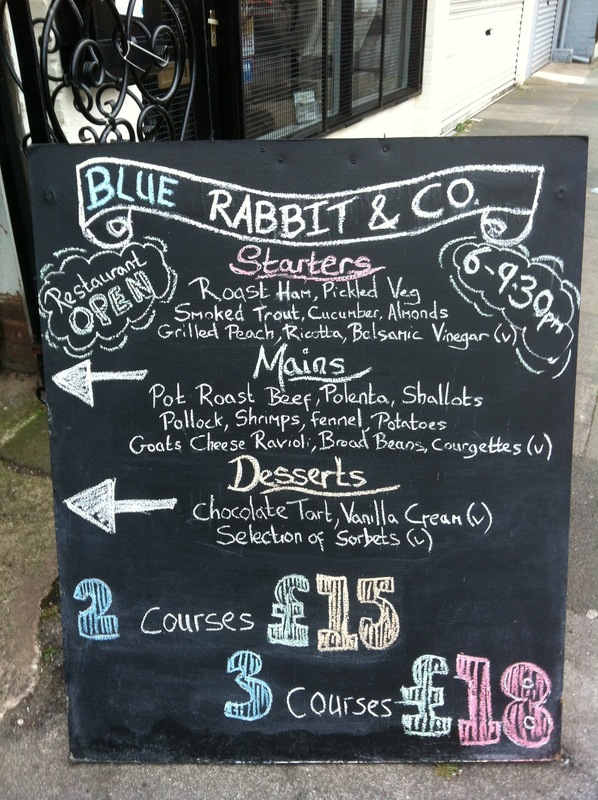 The Blue Rabbit & Co is a welcome addition to the Kings Heath dining scene. It offers something different to the tapas, curry and pubs/bars already thriving. The ingredients used in the dishes are well sourced and are seasonal. The vegetarian dishes well made, thoughtful and full of seasonal flavour. The Blue Rabbit edge more towards fine dining or a good quality bistro than cafe and that is shown with the changing weekly menu. Keeping it fresh and challenging. As a restaurant I loved it. It is good value, and the quality on offer is worthy of paying more. The veggie options are fresh and keenly observed. Fully recommended. 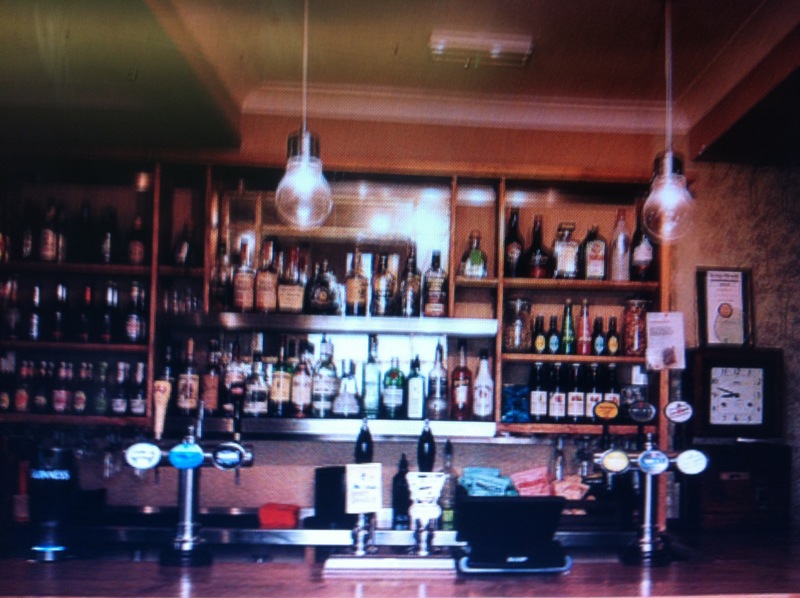 See the website for menus. 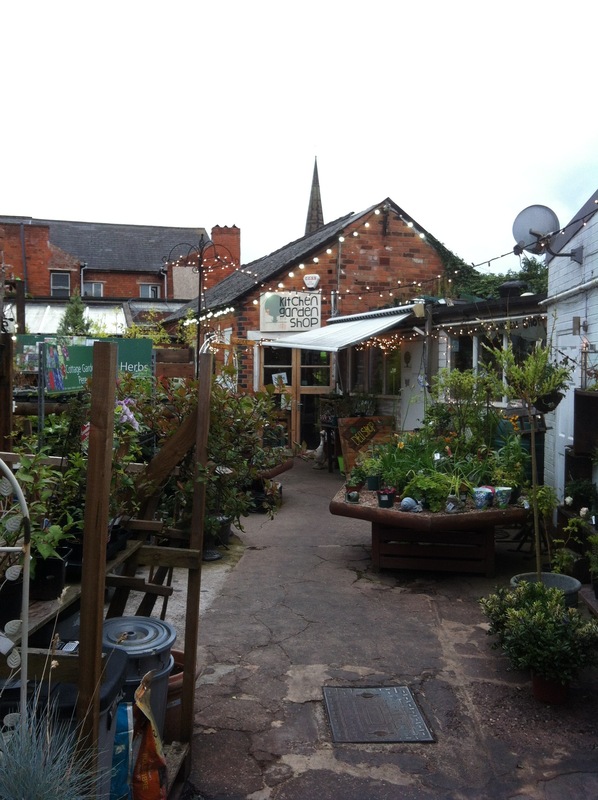 Hopefully the Blue Rabbit & Co will go on to achieve great things when its pop up stint ends and is well worth visiting whilst it remains in Kings Heath. 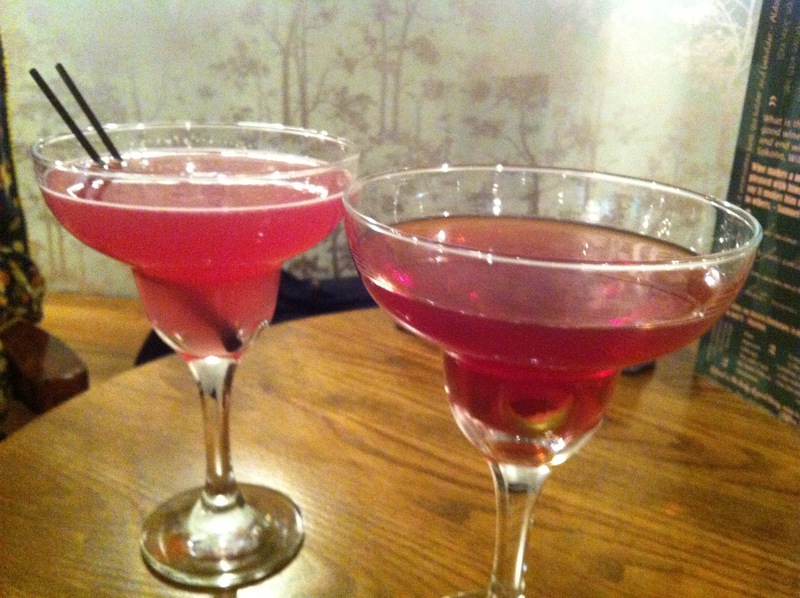 Before and after our meal at Blue Rabbit & co we visited Fletchers Bar next door to the Kitchen Garden Cafe. We enjoyed two cocktails at Fletchers before our meal a Dry Manhattan, and a Margarita, both well made and good value, plus two glasses of Malbec after our meal. 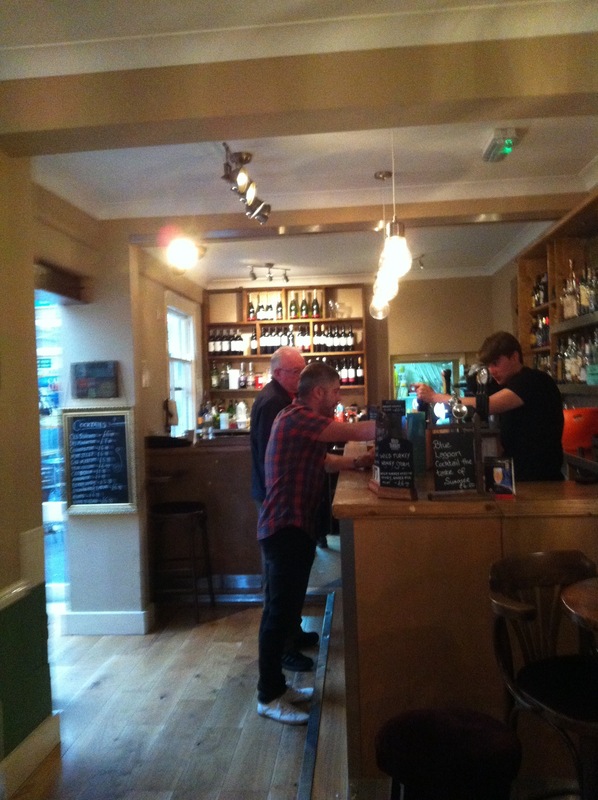 The bar is quirky, friendly, informal and the cocktails and real ale are excellent. I have eaten at Fletchers and can recommend the food which is more sophisticated than the traditional pub food offerings with some good vegetarian options and changing specials. 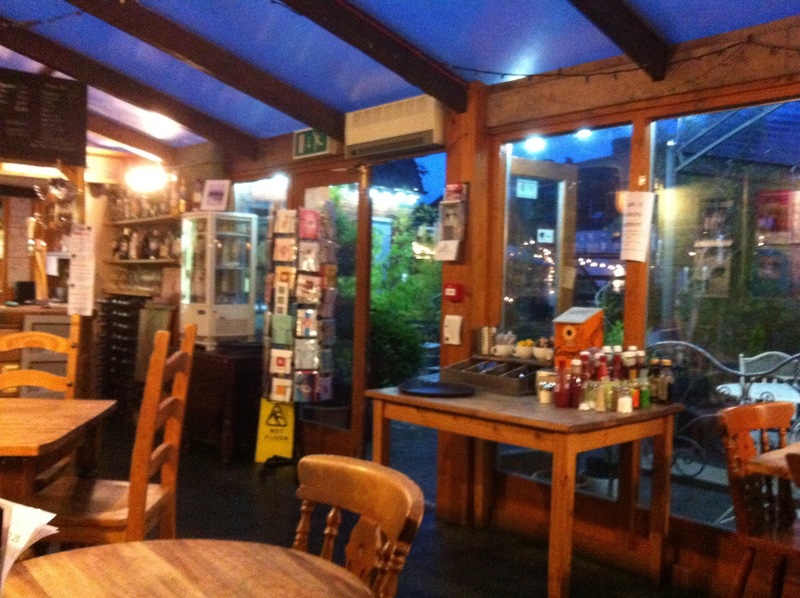 Fletchers is owned by the Kitchen Garden Cafe. 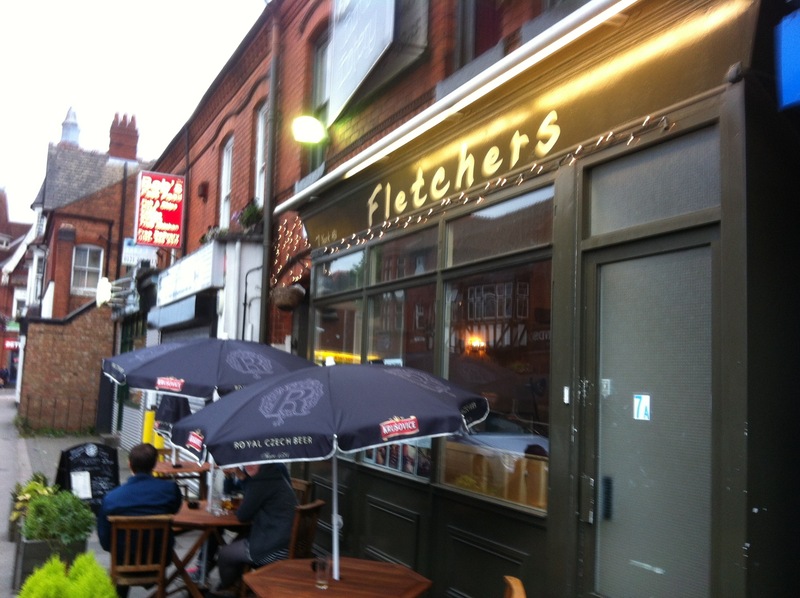 Fletchers is part of the Independent Birmingham card with a discount on food. Disclaimer: We paid for our own dinner. My review is a true and honest assessment. If anyone has any thoughts or comments on places to eat in Kings Heath and Moseley that are good for veggies and vegans let me know? Has anyone else been to Blue Rabbit, what did you think?